We encourage our Developers to think out of their cubicles. 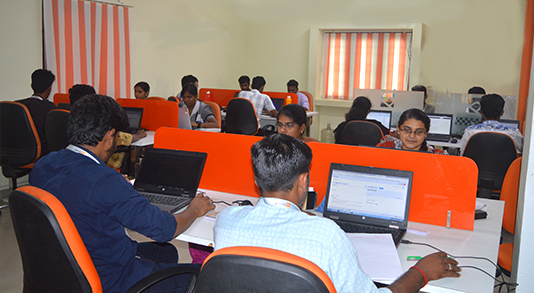 We have created a positive work environment that brings motivation and encourages perseverance among our Developers. At the same time, we have made it fun-filled and refreshing for them. 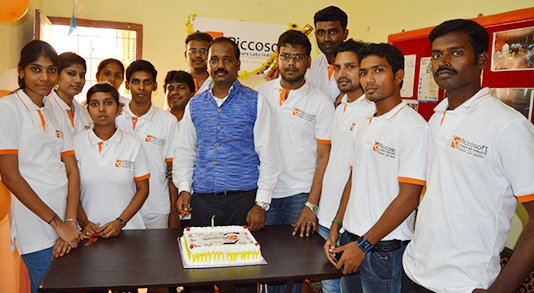 At Picco Talent, Members of Management set aside time to communicate clear goals and expectations, and then offer and invite honest feedback from Developers that aims at better perfomance at our Clients' projects. At Picco Talent, we continuously give our Developers, the opportunities to put their new skill sets to work and therein to be more productive at our Clients' projects. Our Developers are offered with flexible work arrangements that help them balance out all aspects of their lives and therefore they are more productive and engaged at work. At Picco Talent, Developers work as a team. When a Developer has a question to ask a senior Developer, it will be immediatly addressed, even if the senior Developer is not working in that project. We have provided a peaceful, noise free environment for our Developers, helping them give maximum efforts at their work and demonstrating full productivity. We have also provided ergonomic chairs to them for a comfortable seating. The work space is equipped with high speed broadband connection with 50 mbps for a smooth working and interaction through different communication channels like Skype and Zoom screen sharing. We have trained all our Developers in Project management tools like Jira and Code Management tools like Bit Bucket and GitHub. They are well-equipped in using these tools and they use them efficiently to deliver quality code on projects they are working on and also have made project based interaction smooth and hassle free. We have a cafeteria at our premises, where our Developers together enjoy tea time, lunch time and snack time, with some fun chit-chatting. This provides them with good refreshment during hectic work hours. 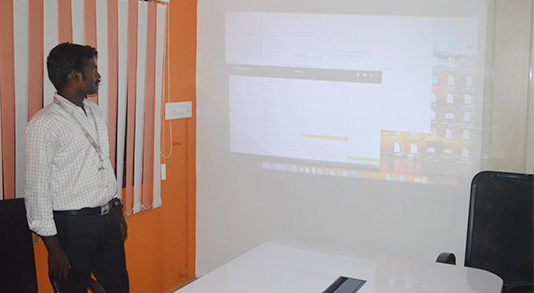 We have a meeting room for our Developers, which they use when they have team meetings and Client meetings. The meeting room is equipped with projector, round table and ergonomic chairs. 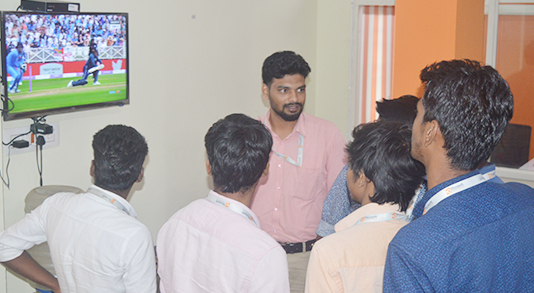 We have also provided our Developers with an entertainment area with television. In between their work, they are allowed to take a small break. This has proven more productivity among them and we have evidenced our Developers working happily after office hours as well during tight deadlines. We regularly have celebrations like festival celebrations, Woman’s day celebration and more. 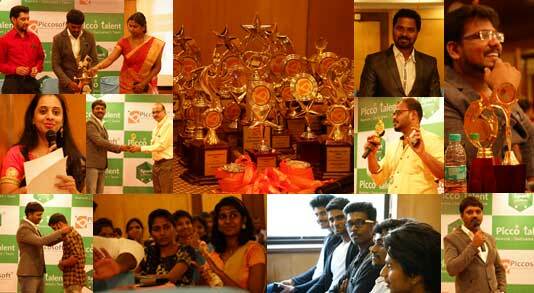 We organize games and other fun activities during the celebrations, making the entire celebration fun-filled one. Developers are also distributed sweets and savories during celebrations. For improving our Developers' soft skills and English communication, we regularly conduct Group discussions, where they can choose their own topic or sometimes the topic will be given to them. Developers enjoy these sessions and get refreshed to go back to work after these sessions. We also encourage our Developers to prepare paper presentations in technology related topics. This is conducted on a weekly basis and any two Developers are randomly chosen and they are given a week's time for preparation. 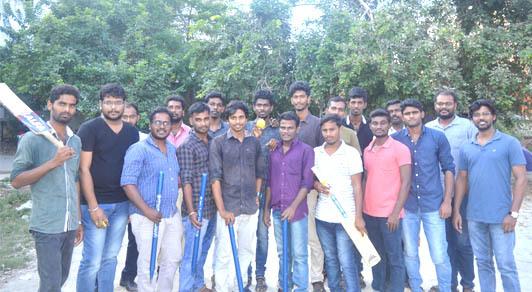 Recently, our Developers formed a cricket team and they practice for some time every Saturday. We are on a plan to start a corporate cricket team and participate in inter-company matches. We promote an open, transparent culture. We want to hear from our Developers about what’s working and what’s not, so we make it easy for Developers to share their feedback. We help Developers grow and develop. We want all Developers to constantly expand their skill sets, learn, and advance professionally. Talent development is a priority, and we make it easy for Developers to access the tools that will propel them forward in their careers. We recognize our Developers. 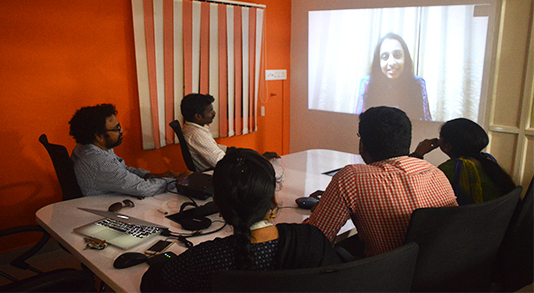 It’s important to thank our Developers, who are contributors towards our Company's growth. We appreciate our Developers and thank them through emails and in the form of group messages on our internal WhatsApp group and internal Skype group, where all our Developers are a part. We celebrate birthdays of the Developers falling in a particular month, together during the last Friday of the month. We will have cake cutting and snack. Also, gifts will be given to the Birthday boys and girls.